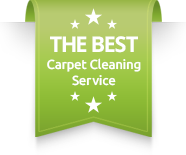 Best carpet cleaner Irvine, CA. 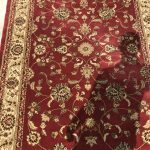 A very good way to deteremine the best carpet cleaner Irvine, is to take a look at the work that was done. Over time we are able to examine the results of the work of any carpet cleaner. 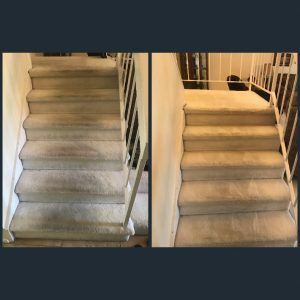 However, working on white carpet will give you an in depth understanding of the quality of work and the knowledge.Yesterday we were called for a full house carpet cleaning in Irvine, California. However, only at the arrival we have realized a couple of key facts about the carpet we are about to work on.A. The carpet is white and about 20 years old.B. The carpet has deep and dark foot traffic all over.As we do the walk through we were able to understand the level of pressure and amount of strentgh our carpet cleaning formula would need. So, we explained to the customer exactly what to expect and go right to the job. Heavy spotting and pre-treatment by the best carpet cleaner Irvine. When it comes to white carpet, we know that using a certain level of PH product on the carpet is necessary. Also, using enough of it is key due to the thickness of the carpet. Therefore, we poured our 3 magical carpet cleaning products into 1 super strong formula. 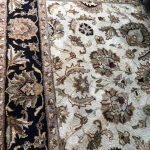 In addition, equipped our belt with 2 special spotters and started the application of the products on all troubled areas on the carpet. Fantastic results by carpet cleaner Irvine. After a long 3 hours of work and much sweat we had finally finished. Thankfully we were able to remove many of stains and the cusotmer confirmed that we have exceeded her expectations. In addition, in one of the rooms there was a small water damage in the corner of the room. Possibly from the shower that shares a wall with the room. 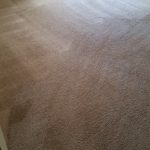 So, we treated the area heavily with an anti bacterial in order to remove all the bacteria and fungus that already grew on the carpet.After all said and done we had one more satisfied customer.To schedule your next carpet cleaning with the best carpet cleaner Irvine, please contact Dr. Carpet Irvine.